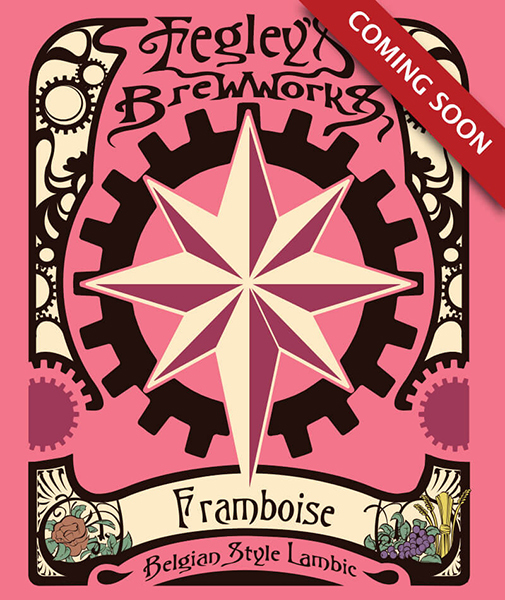 Fegley’s Brew Works is getting set to release their award-winning Framboise Lambic-style beer this Friday for the first time ever in bottles. The beer has been released on and off over the years, with some special 10 year old batches being tapped for anniversary parties, but this is the first release of it in quite some time. Lambics have been brewed in some capacity at The Brew Works since 1998 and this particular one took home a silver medal at the World Beer Championships in 2001 and a bronze at the Great American Beer Festival in 2008. For the uninitiated, a framboise is a beer brewed with raspberries, and a lambic is a traditional Belgian beer brewed in a specific area called the Pajottenland of Belgium (as in how Champagne can only be made in a certain area). It is cultured with a host of bacteria ranging from brettanomyces to pediococcus to produce a distinctive tart, sour flavor. This particular beer has been aged for two years in French oak barrels to develop a complex flavor profile. Each location, Allentown Brew Works and Bethlehem Brew Works, will each have 120 bottles available and one keg to tap. The beer will be $9 for a tulip glass on tap and the 750ml cork and caged bottles will retail for $20 each. The beer will also be available in limited bars in bottles and kegs throughout the Eastern Pennsylvania region. We’re hoping this is the first to come of regular releases like this. Brew Works has toyed with releasing beers in the past, notably with its Delusional stout, but they’ve never made it a regular occurrence. With a 13% bourbon barrel imperial coffee stout on the horizon, that might be changing. Note: If you want to avoid the crowds but pay a few extra bucks, the Framboise Lambic is available at Abe’s Bethlehem as of Wednesday night.